Perfect for commemorating the Memorial Day today, Postcard US-2738814 to Germany shows a combat between USS Constitution and HMS Guerriere during the War of 1812 postcard. The painting was the work of artist Michel Felice Corne (1752-1845). 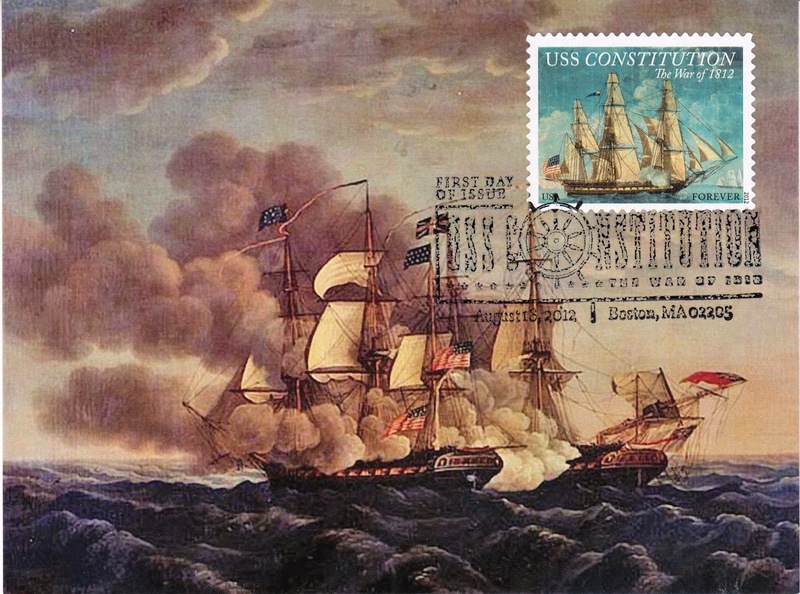 The postcard was affixed a 2012 USPS The War of 1812: USS Constitution commemorative stamp with a first-day-of-issue postmark, thus making it a maxi card.